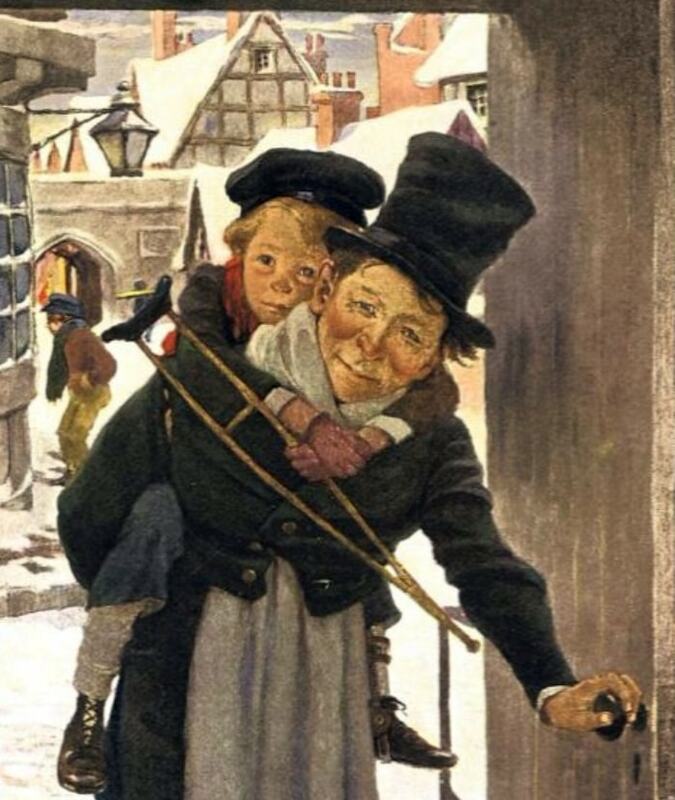 A classic illustration of Tiny Tim and Bob Cratchit by Jessie Wilcox Smith, 1911. Some 15 or 17 years ago, my good friend Michael Doherty started an annual reading of A Christmas Carol, by Charles Dickens. Participants each take turns reading a page from the text, discussing the story between the staves (chapters). It’s a lively affair that has grown from a handful of participants to over 15, traversing the text in five or six hours. I can’t help but wonder: are we changed? “Now when Jesus was at Bethany in the house of Simon the leper, a woman came up to him with an alabaster flask of very expensive ointment, and she poured it on his head as he reclined at table. And when the disciples saw it, they were indignant, saying, “Why this waste? For this could have been sold for a large sum and given to the poor.” But Jesus, aware of this, said to them, “Why do you trouble the woman? For she has done a beautiful thing to me. For you always have the poor with you, but you will not always have me. In pouring this ointment on my body, she has done it to prepare me for burial. Truly, I say to you, wherever this gospel is proclaimed in the whole world, what she has done will also be told in memory of her.” — Matthew 26:6-13, ESV. Now, honestly, the ointment could have been sold and the money given to the poor… but why hadn’t Jesus’ critics given their money to the poor? Why is it that the poor “will always be” with us? Is there some part of humanity that is the Cause? Notably, in the two accounts of Jesus feeding the thousands (there are two accounts), he twice tells his disciples, “You give them something to eat.” Are we to learn that the “common welfare” of mankind is our business? Are we to learn that even the disciples could have fed the thousands, if only they would have striven for it? 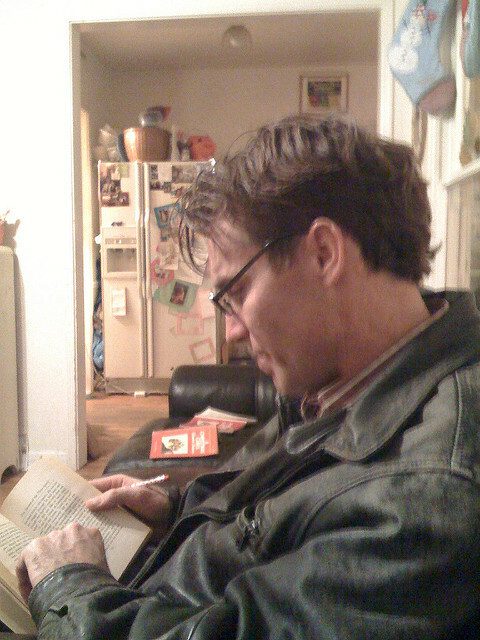 Michael Doherty, reading from A Christmas Carol, circa 2008. Reading A Christmas Carol in a single sitting was a novel idea when it was proposed so many years ago. A straight reading, sans conversation, might take two or three hours, but a reading with conversation, beginning at around 6 p.m., might well last until midnight. Yet each time it has proven a worthwhile endeavor. (I have participated twice.) In the experience, one senses a heightening of community. I am a part of something. Invariably, bits of conversation center around the experience of reading the Carol. For how often in our entertainments and diversions do we disengage from one another? How often do we become isolated islands of digital insulation? And does not this contribute to the general degradation of the “common welfare,” eroding every bit our our humanity until, well, only bits and bytes of our “virtual” reality remain? I have long enjoyed being a member of the typosphere and being among those who collect objects, not merely as objects (though they are mechanically beautiful), but as vehicles for connecting with others. We “type in,” we “sit in,” we “read in,” we “fellowship in…” We desire to grasp a reality that is not lost, but neither fully realized. In a world of “apoplectic opulence,” we have much to lose, and everything to gain. That is the possibility before us. A Christmas blessing to all who read and traverse these pages. God bless! Previous post: Write? No, Caligraph!